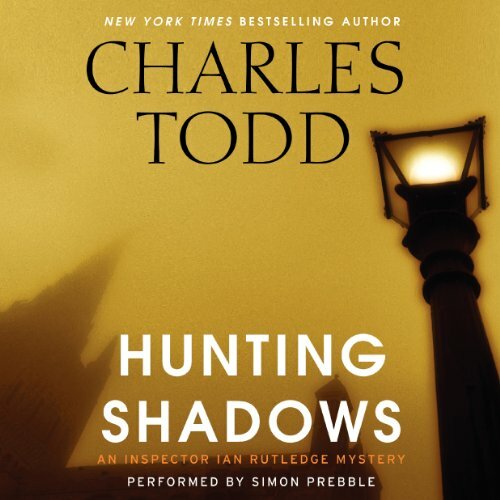 A dangerous case with ties leading back to the battlefields of World War I dredges up dark memories for Scotland Yard Inspector Ian Rutledge in Hunting Shadows, a gripping and atmospheric historical mystery set in 1920s England, from acclaimed New York Times best-selling author Charles Todd. A society wedding at Ely Cathedral in Cambridgeshire becomes a crime scene when a man is murdered. 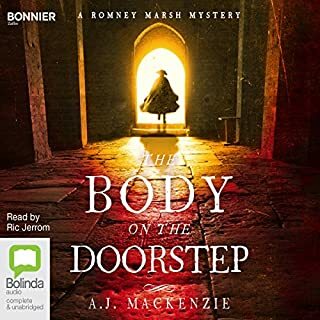 After another body is found, the baffled local constabulary turns to Scotland Yard. Though the second crime had a witness, her description of the killer is so strange it's unbelievable. Despite his experience, Inspector Ian Rutledge has few answers of his own. The victims are so different that there is no rhyme or reason to their deaths. Nothing logically seems to connect them - except the killer. As the investigation widens, a clear suspect emerges. But for Rutledge, the facts still don't add up, leaving him to question his own judgment. In going over the details of the case, Rutledge is reminded of a dark episode he witnessed in the war. While the memory could lead him to the truth, it also raises a prickly dilemma. To stop a murderer, will the ethical detective choose to follow the letter - or the spirit - of the law? a good pace and interest but a few American terms creeping in to the dialogue that can take the reader away from the timeline and culture of the UK. a small gripe as I always enjoy these books. An excellent book, well written, with a very original plot line. Ably supported by the reader Simon Prebble. Once I started listening I found it hard to stop. 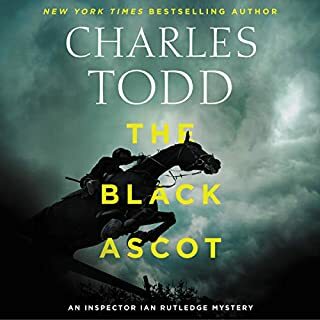 It's hard to say much more about Charles Todd (and character Ian Rutledge from Scotland Yard) than has already been said. At this point, I can happily say that this whole series is one of my great favorites, and this new book completely lives up to my expectations. 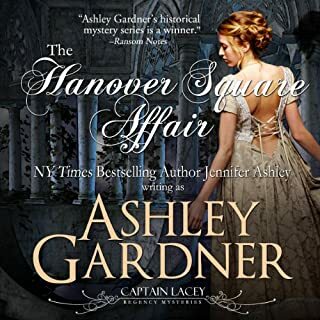 It involves Rutledge going to the Fen country to help the local constabulary work two murders that would seem to be related, but for which there are no obvious connections that they can figure out. 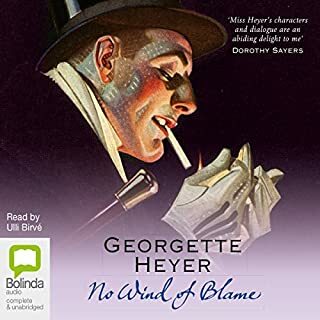 This is a well-laid out mystery--with lots of twists and turns.It seems to have more characters than most of the books which gives it interest, though a little hard to keep sorted in the beginning. The only thing that left me a bit puzzled is that in all the others, Hamish (a voice from a dead soldier that Rutledge always hears in his head, as a result of shellshock) in greatly minimized. In past books, Hamish has had a greater prominence--something I rather enjoyed because it gave insight into other dimensions of Rutledge. Perhaps this is a sign that Rutledge is progressing away from his shellshock, but I found myself hoping it was not because they (Charles Todd--mother and son team) are planning to write him out eventually. 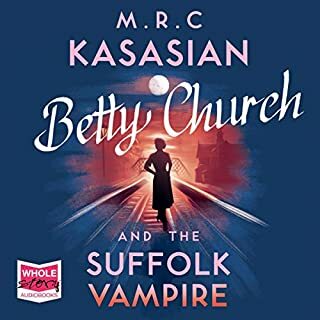 This is a very good mystery, with well drawn out characters--lots of interest, and even some history about the Fen country and WWI put in as well. And Simon Prebble is a perfect narrator! Highly recommend! This is a good mystery with mysterious underpinnings and lots of twists and turns. In the beginning, the story became confusing pretty fast because of the number of characters introduced early on and it was a little difficult to keep them sorted out.... lots of rewinding. The story involves two murders which happen a week apart in two different villages. 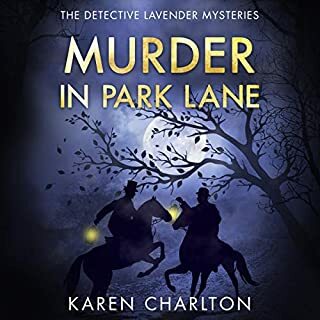 The murders seem unrelated but as Inspector Ian Rutledge investigates, the connection between the two is found and we see how they are tied together. 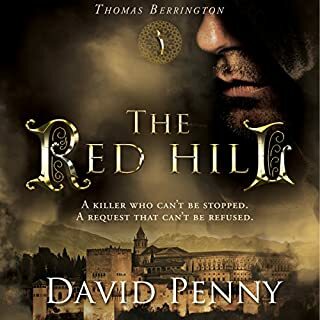 Simon Prebble is an excellent narrator but, for this story, it was hard to distinguish some of the voices because of the number of characters. 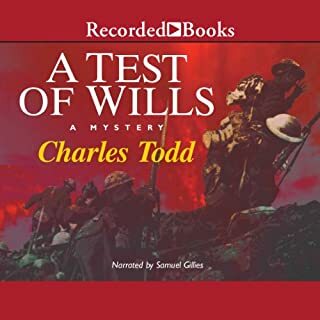 ANOTHER SOLID HIT FROM CHARLES TODD!!! 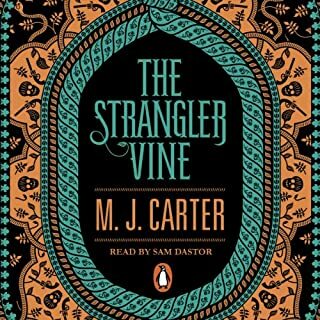 I stumbled upon this recently released Book 16, after buying every audiobook recorded in the Ian Rutledge series. It did not disappoint. I thoroughly enjoyed this one since I didn't think Todd could get any better. Rutledge continues to be a troubled detective, fighting demons from World War I. And no bigger demon than Hamish McCloud. But how can one not like a person named "Hamish"? 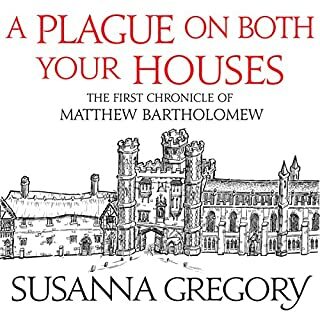 You can start with this book or start with the first in this series. All of them stand alone. I suggest reading them in order so that you can "grow" with Ian Rutledge. 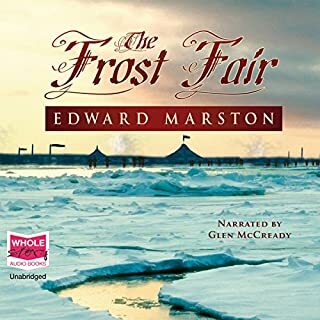 Narrator Simon Prebble gives another masterful performance. I hope he continues as narrator of this series. Mr. Todd is getting better and better. I certainly hope we hear more from Inspector Rutledge soon. This is an outstanding book. 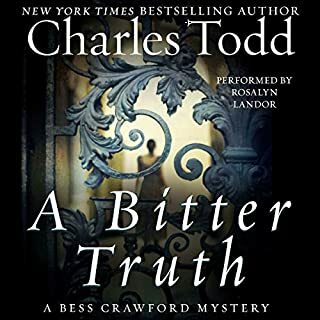 I have read or listened to all of Charles Todd's books and I found this one the best plotted of all. It kept me guessing right to the end. Even when I though I knew who the murderer was, Todd pulled one out of the hat with a big surprise at the end when you found out who the murderer was. 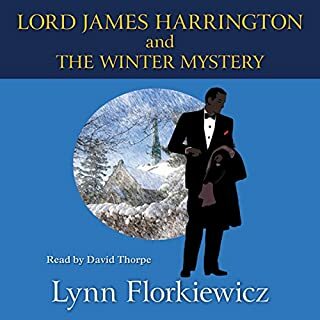 One thing I did notice was that Hamish was not such a big presence as he has been in the earlier book - whether Inspector Rutledge is getting over the events or Hamish didn't really fit in - but in any case he wasn't as ubiquitous as in the earlier books. In a way I am rather glad to see less of Hamish. 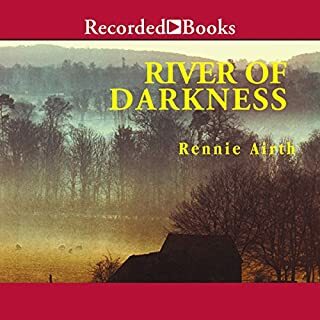 As in all his books you get to see another part of England – this time the Fen country, as it was in 1920, and the small villages there. In post World War I getting around in the Fens was dangerous. Dense fogs would roll in, the roads were not well marked and often little better than dirt road. Inspector Rutledge begins his investigation by getting lost and almost having a motor accident. As always Charles Todd paints a picture of 1920 England: with farms, small villages, market day and places where everyone knows everyone else. He has the gift to take the listener back in time to a long-ago England. 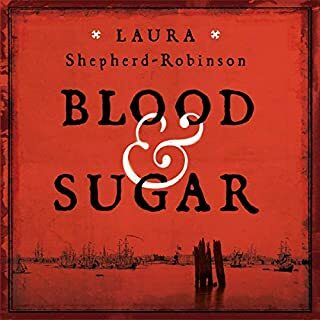 What brings Rutledge to the Fen Country is two murders a week apart of two very important figures -- one a distinguished War veteran, and the other a local man standing for parliament. One is killed at Ely Cathedral, the other nearby while preparing to give a campaign speech. They seem unrelated but it is only at the end we see how they are tied together. 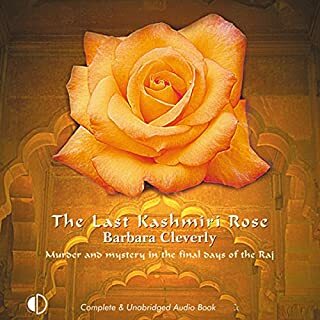 Much of the books is spend in actual detecting -- Rutledge going to different places and talking to many people to try and find out what connects the two murders. The only clue he picks up early on it that the murders were committed by an excellent shot, most probably a sniper. Many people are interviewed by Rutledge and local constables but nothing seems to fit. 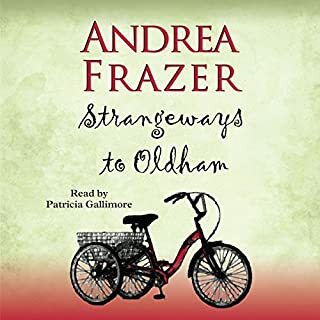 The roots of the crime go back to before the war and it is only when Rutledge gets as off-hand request from a local doctor, the he finally gets on track. 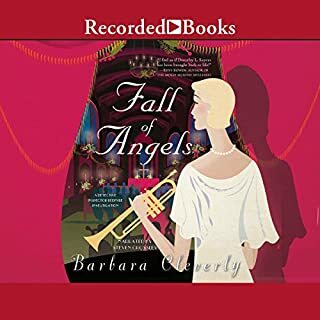 He only finally fits the pieces together when he travels back to London to interview the sister of one of the victims -- between London and Ely and trip to Mausoleum do all the pieces finally fit into place. This book keeps you guessing up to the very end. Having Simon Prebble read this book, makes it all that much better. Simon is one of the most outstanding narrators in the business and I know I will enjoy the book that much more when he is the narrator. He is the perfect narrator for the series!! One of the most compelling mysteries I've read lately. Full of characters that are as interesting as the mystery itself. This is the first book in the series that I've read but I will certainly be looking for more. Would you listen to Hunting Shadows again? Why? Maybe. Because of Mr Pebble’s art. Atmospheric, steady development, convincing characters. Towards the end the story becomes unconvincing and vague with some soup drama elements. Yet, it is a good, well-built story. Intriguing story; well written and very well read. Inspector is a troubled soul and his war most scarring, as I am sure most wars are. Inspector Rutledge is teetering on the brink of complete break down. will be interesting to see if he heals. Let’s be clear on a few things first of all this is not a modern detective novel. no protagonist in this case does his detecting is approximately in the year 1920. There are no fingerprints, no DNA, no cell phones, no computers, no Internet, no Google, just a car needs to be cracked by hand. What this means is that this detective needs to solve his cases by the use of his mind and his detecting skills which are substantial. Sound dreadful? After 2 chapters I thought so. BIG mistake. It is so good! I am writing this even though there have been a zillion reviews. I have a few followers so if you get this give this a try if you like this genre. But remember it is detective or police procedural. Another benefit is that there is some great use of the English language here. There is also a wonderfulPicture here of life after World War I and the horrible damage it did to those affected including the women left behind. This book is so good and so many no levels not the least of which is the Simon Prebble, an extraordinary narrator to say the least. No immediately go use your credit if you haven’t already been reading this author. You can thank me later when we see each other again.